When it comes to posting bail in jail, how federal bail bonds work is different from the process carried out in various stats. A federal bail bonds originates from a federal district court. So, in the case that you cannot afford to be released from a federal jail after being granted bail, you must be certain that the bondsman that you prefer to use is familiar with the process of posting bail in a federal jail. Continue reading for more information on what to expect when granted a federal bail bonds. Only a federal judge can set the bail. Much like in a state or local level court, the federal judge will set the bail amount according to the severity of the federal crime “allegedly” committed. Other factors will be considered as well, including the accused criminal history and potential flight risk from justice. Because the court is at the federal level, the defendant and/or family should expect to pay a higher amount than he or she would pay at the state level. If the defendant cannot pay the bond in it’s entirety to the government, a bondsman can be contacted. The defendant or a responsible individual (cosignor) known by the defendant will contact a bondsman who specializes in federal bail bonds. 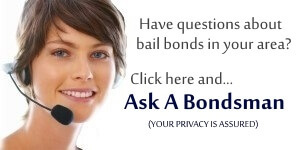 However, not all bondsman are able to assist a defendant who is given a federal bond. Make sure that the bail agency is aware of the federal bond process; you can ask for references whether from someone they’ve bailed in the past or the prior federal agency they will have presented paperwork to. The defendant and their family will pay more for a federal bond. Because there is more risk and complexity involved when it comes to the process of a federal bail bond, the defendant will have to pay a higher amount in bond fees. Typically, the defendant will be required to pay 15% of the bail amount. The bondsman will then require additional collateral worth 150% of the bail amount to cover the remaining amount of the bail. The arrested party will endure another court hearing. Before bail is posted, the federal judge will hold another hearing to make sure that the money or property placed for bail is not a result of criminal activity. The defendant must prove that the property or money is legitimate. If it is suspected that the money or property is illegally obtained, federal bail will be denied. IMPORTANT NOTE: When searching for a bondsman, most individuals like to go with one who he or she is familiar with, is recommended by a loved one, or is one who requires the least amount to be released. However, it is most important that for a federal bail bonds, the bondsman should be familiar with how federal bail bonds work and the federal bail process because it is more complex than one at the state or local level. The bonds agent must be able to help the defendant prove that the money or property used for the bail is legitimate. A bondsman who is not experienced in federal bail bonds can hold up the process, make your stay in jail longer than expected, and even make your bail bonds be denied by a federal judge. How does federal bail bonds work? More work is required from the bondsman and the federal bail bond fee may 15% and are posted to U.S District court houses. These types of bonds take time to process. The bond may also require a Nebbia or bail source hearing.